On Wednesday night, Fr. Nick Schneider (Director of the Office of Worship for the Diocese of Bismarck, ND) and I gave a short introduction to sacred music and Gregorian chant in my hometown. Though the workshop was planned with short notice, about 50 people came, including 6 or 7 priests, from parishes all over town as well as many of the surrounding towns. Below is a recording of Fr. Schneider’s talk, which was really brilliant. He began by talking about the etymology of the word “liturgy.” Many of you are well-acquainted with the tired definition given to it for so long as “work of the people,” a definition which was used to drive an agenda of self-expression, liberties in rubrics and interpretation of conciliar documents claimed out of “pastoral need” of the people at the liturgy, something that we assemble and present, etc. This point is so important! Just the other day on the forum, there was a discussion that grew exponentially about an “apologetics” of sacred music. One of the points raised was that it’s not enough to defend Gregorian chant as the music proper to the Roman liturgy when there is a fundamental misunderstanding among so many of what liturgy is. Chant being proper is a sort of non-starter if we don’t understand to what it is proper. Father goes on to discuss a number of other fundamental issues so important when we introduce others to truly sacred music. The talk is a great way to frame a discussion of what we ought do in the choir loft. The Diocese of Marquette, in the Upper Peninsula of Michigan, is offering its second annual Sacred Music Conference on July 12-13, 2013. 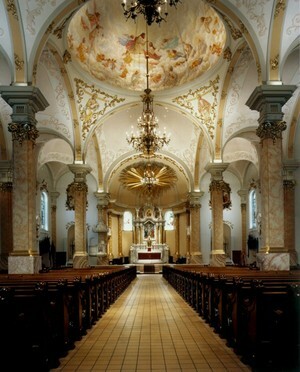 The 2013 Sacred Music Conference will be held in Escanaba, MI. Those from the Diocese of Marquette and neighboring dioceses are highly encouraged to attend! There will be time for prayer, discussion, as well as social time. Sung Vespers and Holy Mass with multiple scholae and polyphonic choir. An international rapprochement of sorts will take place this summer at the Gregorian Institute of Canada’s 8th Annual Colloquium. The colloquium’s keynote speaker is the CMAA’s own Dr. William Mahrt. 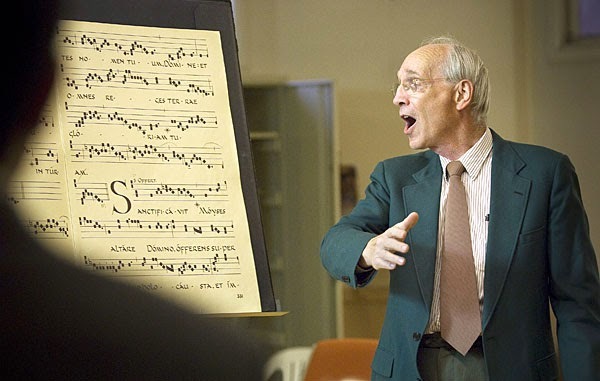 The August 6-9 conference in Vancouver is jam-packed with wonderful presentations, including topics like the role of memory in singing chant, the interaction between chant and polyphony and organ music, Hildegard of Bingen, and the connection between Catholic identity and Gregorian chant. The preliminary conference schedule is available by clicking here. Here’s the description of the conference, which has as its theme “Chant and Culture” and takes as its starting point Dr. Mahrt’s book The Musical Shape of the Liturgy. The Gregorian Institute of Canada has focused from its inception on performance, providing a unique opportunity for scholars and performers from Canada and around the world to share and discuss their ideas, research, and experience. 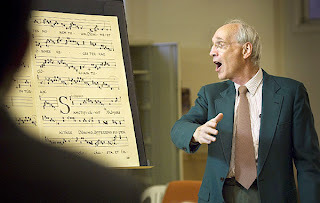 This year’s theme –Chant and Culture – is inspired by an essay currently found in WILLIAM MAHRT’s book, The Musical Shape of the Liturgy, and which also originally appeared as “Gregorian Chant as a Fundamentum of Western Musical Culture”, in Sacred Music (Spring 1975). In addition to academic papers, there will be workshops in chant performance, and liturgical offices sung in Gregorian chant. Academic papers and workshops will address the broadly conceived colloquium theme – Chant and Culture. The conference program will include papers on European and Middle Eastern chant from c. 800 A.D. to our day – chant as melody and text, but also in its relations to (among others) instrumental music, opera, social history, women’s studies, theology, manuscript studies and edition. The CMAA is thrilled to announce a conference honoring the legacy of Msgr. Schuler at Saint Agnes Church in Saint Paul, Minnesota. The registration page is now up and running! Registration deadline is September 13. If you’re looking for an immersion experience in beautiful liturgies and sacred music, thought-provoking and inspiring presentations on historical and current issues in sacred music and liturgy, and a chance to meet others working in sacred music and the liturgy from around the country, we hope you’ll come! The entire conference schedule is available by clicking here. For those interested in the Ecclesia Institute I posted about a few days ago, here’s the corrected website with the up-to-date information: http://gotoecclesia.com/. We are happy to announce a unique opportunity to immerse yourself in chant for five weeks with the Community of St. John (no, not the one founded by Hans Urs von Balthasar and Adrienne von Speyr). The Ecclesia program is a summer formation program led by the Brothers of St. John at the University of Mary in Bismarck, North Dakota. The Ecclesia program offers an opportunity to earn undergraduate, graduate, or continuing education credits, all while experiencing a summer of prayer, evangelization, and fellowship with future leaders of the Catholic Church from across the country. There is an almost monastic flow to each day, with lauds, sext, vespers, and Mass celebrated daily, as well as time for lectio divina, recitation of the rosary, consecration to Mary, and Eucharistic adoration. Aside from the liturgy, the heart of the program is an intensive formation in theology and philosophy, with nearly four hours of class per day. 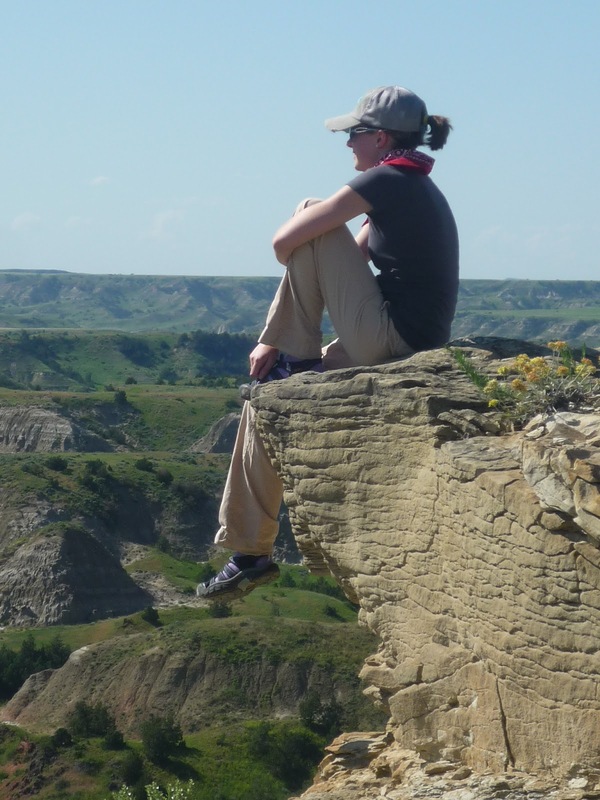 There is also time for recreation, a silent retreat, a camping trip to the Badlands, a service project, cultural outings, and the usual fun activities of a camp like bonfires, etc. The setting is amazingly beautiful, and offers the inspiration so necessary for living the artistic vocation. Six credit hours (three in Theology and three in Philosophy) will be offered, transferable to any University in the country for undergrad or grad school credits. Or, the same classes may be taken for a certificate of continuing education. How much does Ecclesia cost? For more information about registration or scholarships, contact Katie Kimar 216.409.0973. For more information about Ecclesia’s music program, contact Dr. Jennifer Donelson at jd1120@nova.edu. Sign up here to register for the Ecclesia Institute 2013! The registration deadline is June 1st, 2013. New to this summer’s program is a component for those who would like to study and sing chant throughout the 5-week program. The liturgies of the Ecclesia institute will form an important and vital part of your growth in faith this summer. We turn to our mother, the Church, at whose feet we sit to learn to pray, through Her liturgical traditions. Sacred music plays a vital role in these liturgies, for it clothes the Word of God with splendor and beauty, and enables us to better worship God and grow in holiness. This summer, our Masses will draw on the Church’s vast treasury of sacred music as a means of drawing the hearts of all deeper into the mystery of God. Whether it be Gregorian chant, chant in English, choral music, or sacred organ music, the liturgical music at Ecclesia will strive to cultivate singers’ talents in creating sublimely beautiful music in order to convey the reality of the earthly liturgy as a reflection of the Divine liturgy taking place continuously in heaven. The music, though varied, will reflect a fidelity to the Church’s liturgical texts as outlined for us in the meditative chants (Gradual and Alleluia), and entrance, offertory, and communion antiphons of the Roman Missal, so that the beautiful and noble structure of the Roman rite will shine forth the glory of God. – The celebration of the extraordinary form of the Roman rite twice throughout the institute. All other liturgies will be in the ordinary form of the Roman rite. – Twice weekly talks about sacred music and the liturgy to help you grow in your love and appreciation for our Church’s beautiful traditions and liturgy. Dr. Jennifer Donelson is an assistant professor of music at Nova Southeastern University in Fort Lauderdale. She received her DMA in Piano Performance from the University of Nebraska-Lincoln where she studied piano with Paul Barnes, Mark Clinton, and Ann Chang, and organ with Quentin Faulkner. A specialist in the piano works and writings of Olivier Messiaen, she has lectured on and given performances of portions of the Vingt Regards sur l’Enfant-Jésus throughout the United States, France, and Mexico. Dr. Donelson has been awarded numerous academic fellowships, as well as a grant supporting her research at the Bibliothèque Nationale de France on the controversy surrounding the premiere of Messiaen’s Vingt Regards. 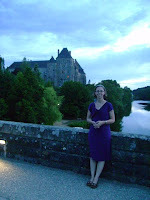 She has presented her work on Messiaen and Charles Tournemire at the national conference of the College Music Society, the annual conferences of the Society for Catholic Liturgy, and at the International Conference on Music Since 1900 at Lancaster University (UK). Her publications include articles in the New Catholic Encyclopedia, Sacred Music, Antiphon: A Journal for Liturgical Renewal, and a forthcoming edited volume of essays on Charles Tournemire’s L’Orgue Mystique. In February 2012, she hosted and presented a paper at a national conference of the Church Music Association of America on the work of Charles Tournemire and has subsequently assumed the role of Academic Liaison for the CMAA, in which she develops academic initiatives and organizes academic conferences for the organization. She currently serves as a board member of the Society for Catholic Liturgy and as the associate managing editor of the CMAA’s Sacred Music journal. Having studied Gregorian chant at the Catholic University of America and Abbey of St. Peter in Solesmes, Dr. Donelson has served as the director of music at St. Gregory the Great Seminary (Diocese of Lincoln, NE) and St. Thomas Aquinas Newman Center (UNL) where she founded the Cor Immaculatae Schola Cantorum, a semi-professional vocal ensemble dedicated to the performance of Gregorian chant and sacred polyphony. She has given diocesan workshops in Gregorian chant across the U.S., is a founder of the annual Musica Sacra Florida Gregorian chant conference, directed the children’s choirs at the Oratory at Ave Maria according to the Ward method, and has served on the faculty of the annual colloquium of the Church Music Association of America. She currently directs the schola cantorum at the Mission of Sts. Francis and Clare in Miami, where the extraordinary form of the Roman Rite is celebrated weekly. CMAA Liturgical Conference – Deadline for Proposals on Friday! Friday, March 22nd is this Friday! Friday, March 22nd is the deadline for proposals for what promises to be an excellent conference celebrating the life and legacy of Msgr. Richard Schuler, beloved pastor to many, and one of the patriarchs of the CMAA. We’re working to secure details with a number of execellent keynote speakers and musicians and we look forward to announcing more as soon as we’re able. It’s not too late to submit your proposal for a recital/concert or paper! More information follows below. For those looking forward to attending, mark your calendar, and registration information will appear on the conference website soon. – Which efforts have resulted in a true restoration of the Church’s liturgy and sacred music? – Upon which principles has authentic liturgical and musical renewal operated in the past? – Which reform actions have had deleterious effects on sacred music and the liturgy? The CMAA is thrilled to announce the call for participation for a conference celebrating the legacy of Msgr. Richard Schuler and the Twin Cities Catholic Chorale in St. Paul, Minnesota. As many of you know, the longtime pastor of St. Agnes Church in St. Paul, Msgr. Richard Schuler, was the vice president of the CMAA for 10 years, and also served as the editor of the Association’s journal, Sacred Music, for many years. 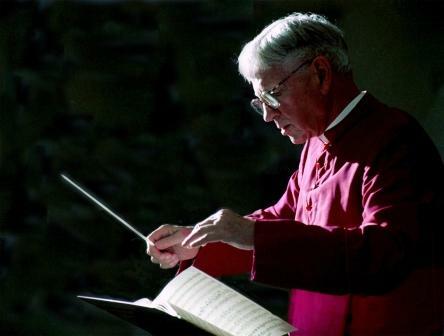 He left an immense legacy at St. Agnes, in the Archdiocese of St. Paul and Minneapolis, and far beyond, not only as a church musician of the highest order, but also as a wise pastor. Indeed, Bishop Sample (of whom there was news earlier today) is just one of the vocations to have come out of St. Agnes under Msgr. Schuler’s tutelage. For the past 40 years, the choir he founded and directed (the Twin Cities Catholic Chorale) has been singing orchestral Masses every Sunday during season at St. Agnes church in St. Paul. This conference will celebrate the 40th season of the TCCC’s residency at St. Agnes. This conference promises to be a truly wonderful event for anyone who is interested in the Church’s sacred music and liturgy. We’ve just posted the call for participation at the conference website, and post it here as well for all those scholars and musicians interested in submtting a proposal, as well as a taste of what the conference will offer. Mark your calendars! October 13-15, 2013 at St. Agnes and the Cathedral of St. Paul in St. Paul, Minnesota!  Which efforts have resulted in a true restoration of the Church’s liturgy and sacred music?  Upon which principles has authentic liturgical and musical renewal operated in the past?  Which reform actions have had deleterious effects on sacred music and the liturgy? Musica Sacra Florida – Registration Deadline this Friday! This year’s Musica Sacra Florida Gregorian Chant Conference promises to be a wonderful event, with a fantastic line-up of speakers and faculty. Closing English sung Mass in the Ordinary Form on Saturday evening, celebrated by Most Rev. Frank Dewane, Bishop of the Diocese of Venice in Florida, with music provided by conference participants. Why not take a winter Lenten retreat to Florida to study chant? Carpools from major airports (FLL and MIA) can be arranged. Visit the conference website to sign up: www.musicasacra.com/florida. The time is drawing near for the 5th annual Musica Sacra Florida Gregorian Chant Conference. This year’s conference promises to be wonderful and features Msgr. Andrew Wadsworth (ICEL), Mass with Bishop Dewane, scholae for singers of all levels, Masses in both the ordinary and extraordinary form of the Roman rite, and fantastic workshops from the fabulous faculty line-up. The registration deadline is Friday, Feb. 1st. Why not take a break from winter at the beginning of Lent to have a retreat studying chant in sunny Florida? Details follow below and at the conference website. Overnight accommodations will be available at AMU’s Xavier Conference Center. Participants can choose among various options for room and board. For prices and options, click on “Brochure and tentative schedule” at the conference website. Led by a faculty of chant specialists from around the state, attendees will learn more about the history of Gregorian chant and its role in the liturgy, as well as experience the chant in the context of both the Divine Office and the Mass. Beginning chanters will be introduced to the basics of notation and rhythm according to the classic Solesmes method. Experienced chanters will learn new repertoire and advance their understanding of rhythmic and interpretive nuance. Resources and practical methods for the cultivation of Gregorian chant in the life of the parish will also be discussed, especially in light of the new missal. This year there will once again be a special emphasis on Gregorian chant in English, along with Latin chant. This workshop is ideal for choir members, parish music directors, music students, teachers, parents, seminarians, priests, deacons, and anyone who is interested in learning about the heritage of sacred music within the Roman Catholic Church.